This magnificent oceanfront estate located on the island of Maui was built by Arri-LeCron Architects Inc. The residence was named Jewel of Kahana due to its uniqueness and luxurious features. Of course, such luxurious digs doesn't come cheap. 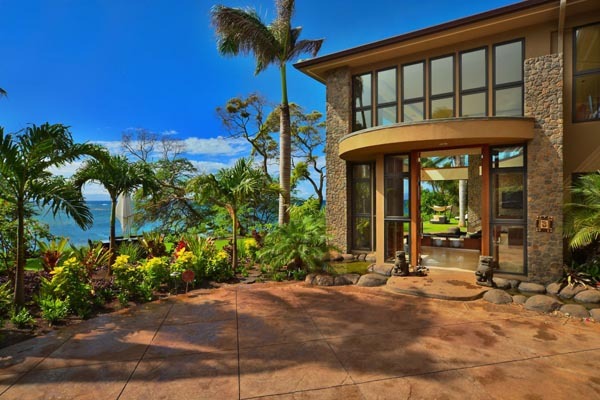 The home which was built on prime oceanfront property in West Maui is currently up for sale at the price of $14.9 million. Interested candidates with deep pockets get to enjoy 7 modern bedrooms, each of them with its own bath, 3 half bathrooms, a lovely wet bar with an attached oceanfront ohana, a large living space with a state-of-the-art kitchen complete with separate enclosed butler's kitchen.